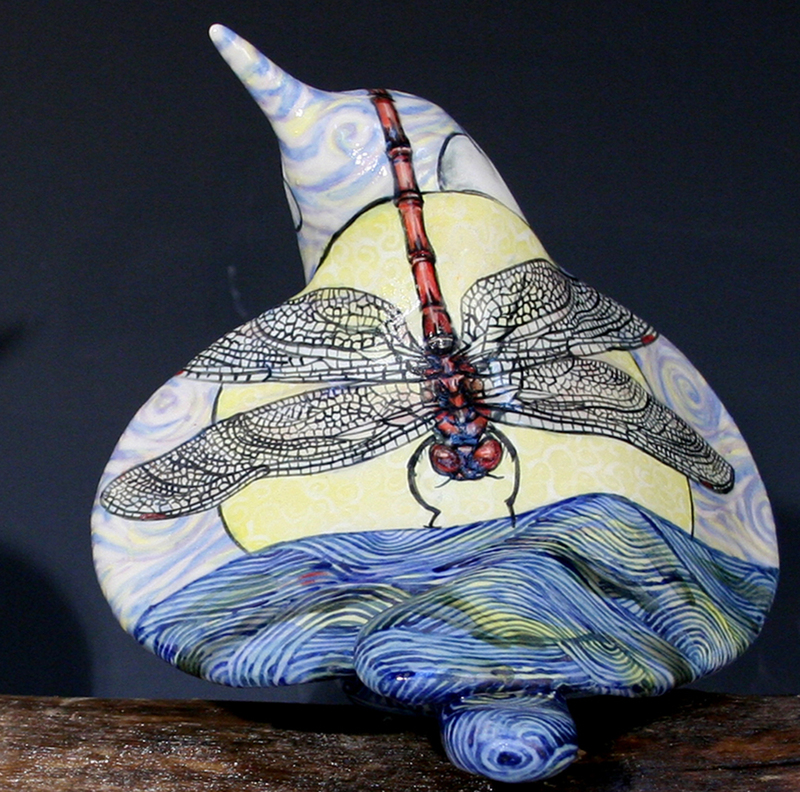 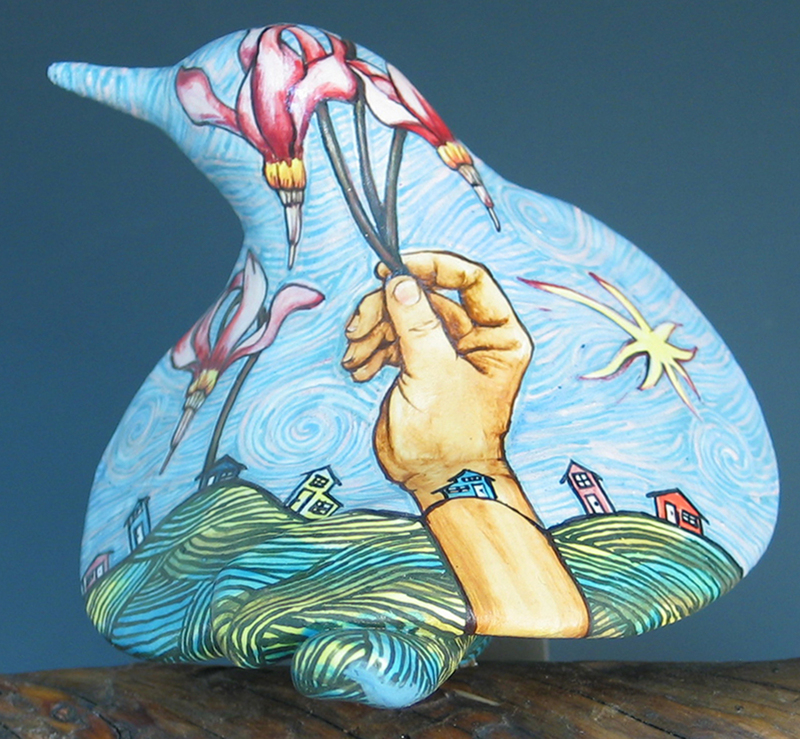 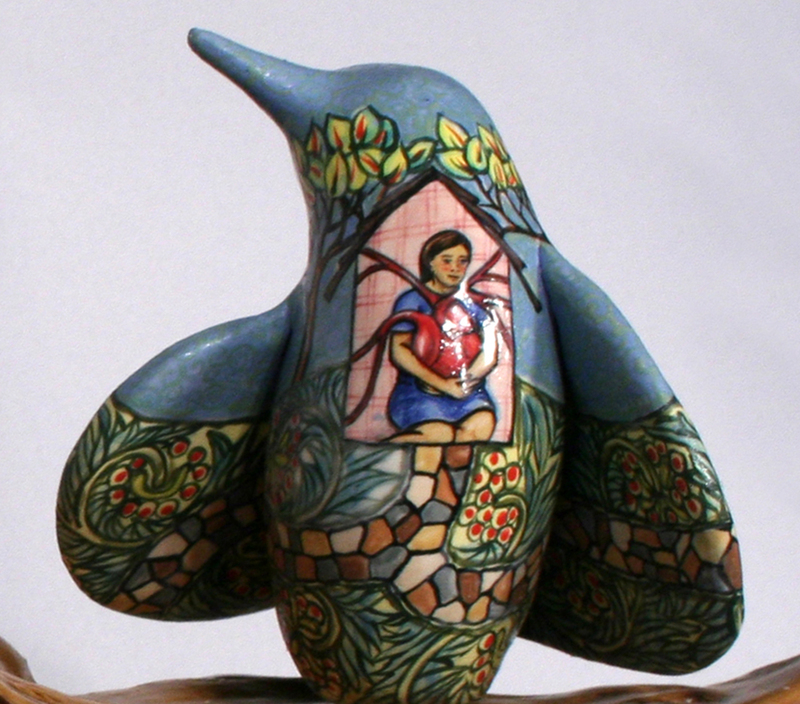 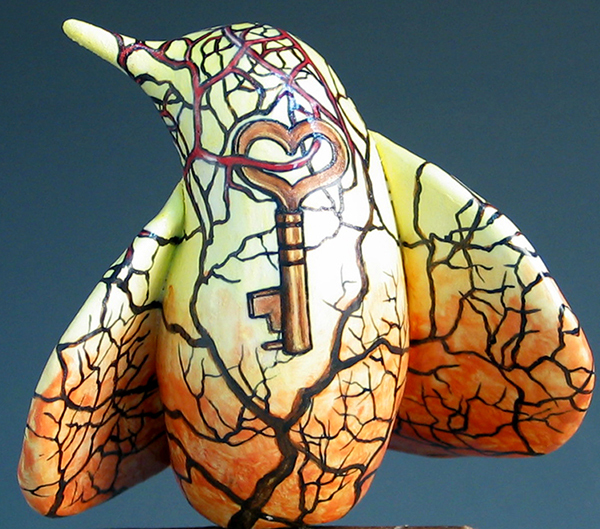 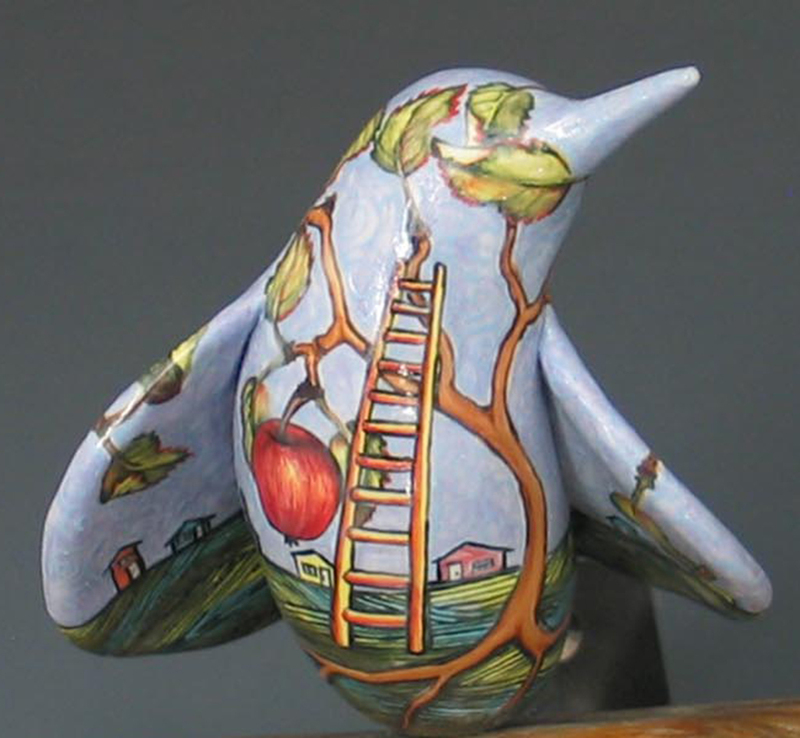 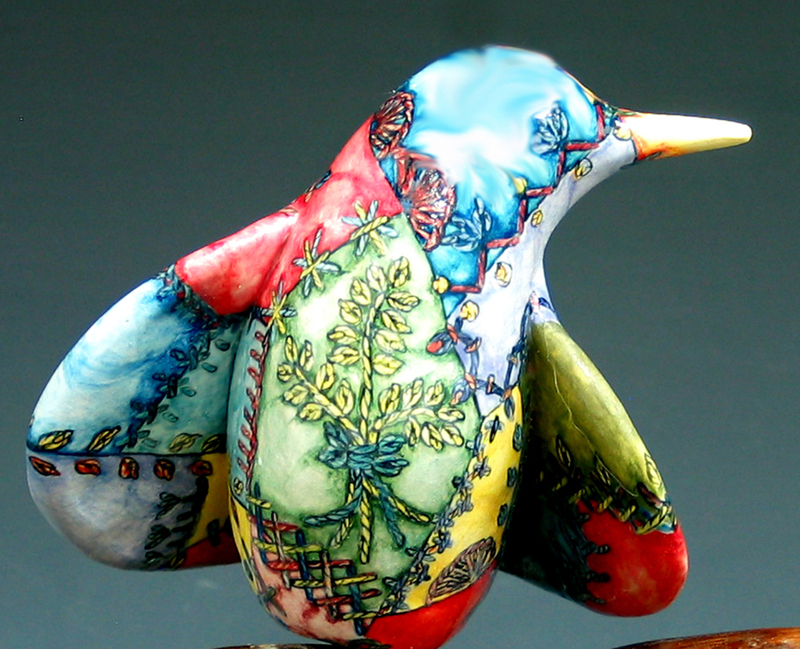 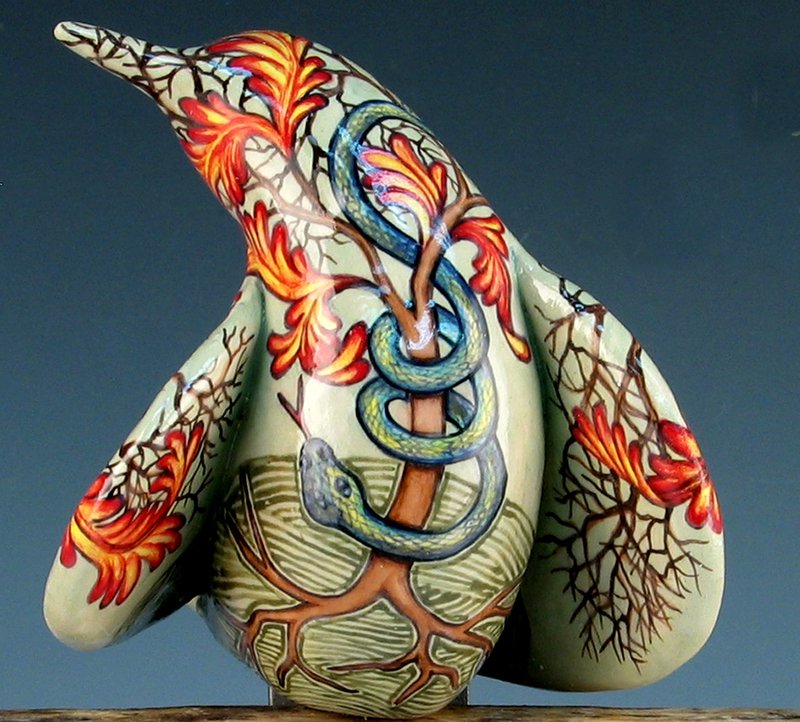 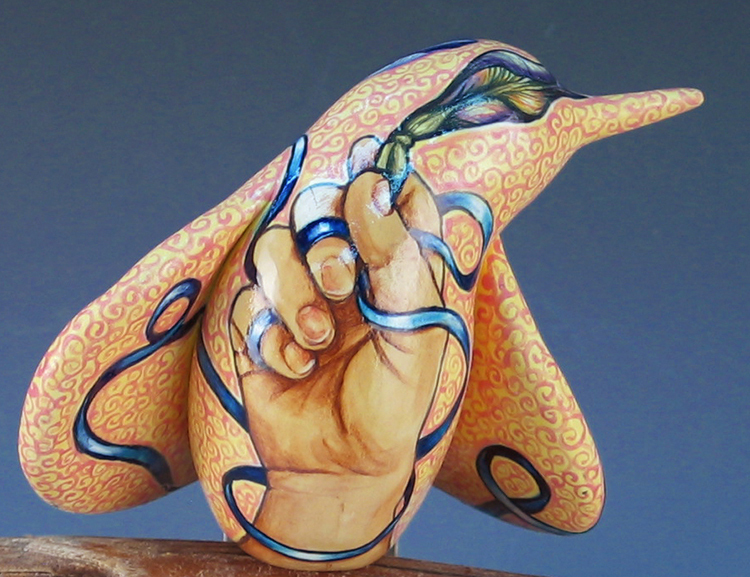 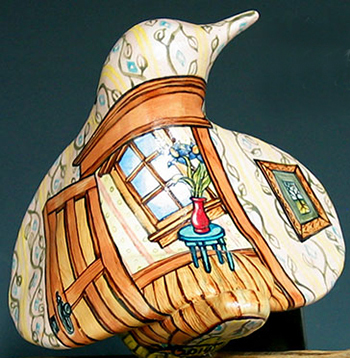 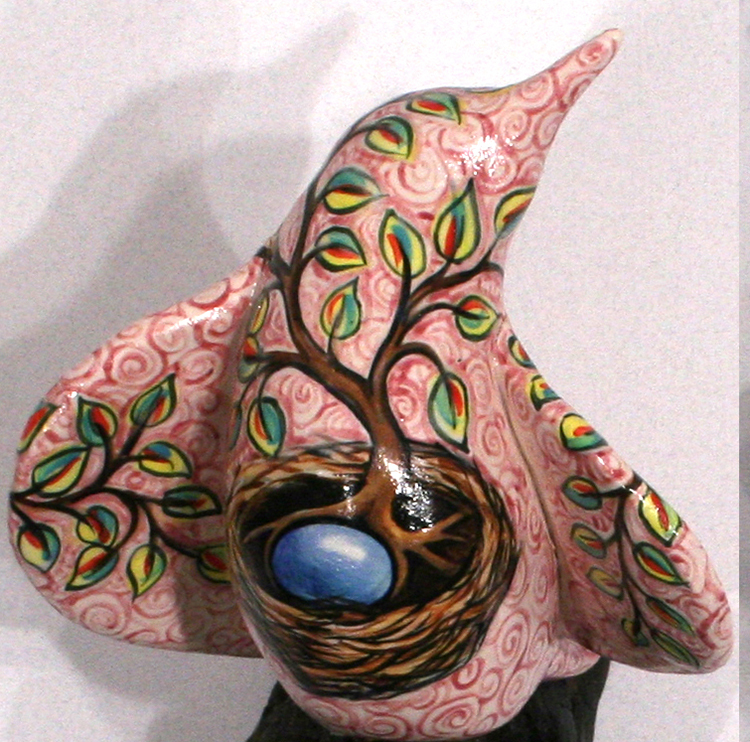 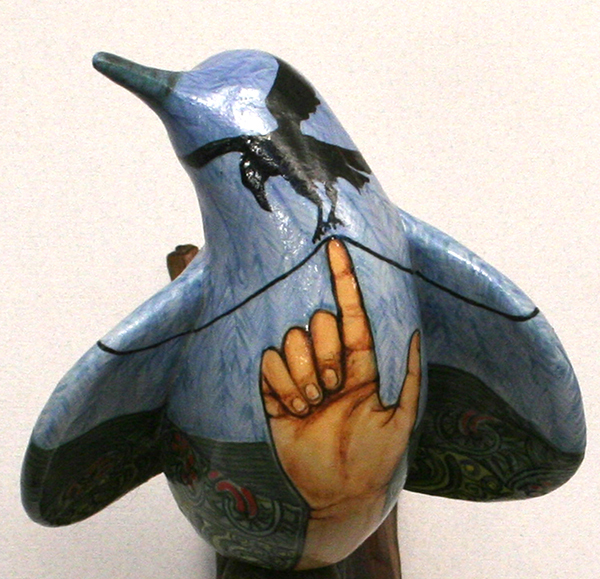 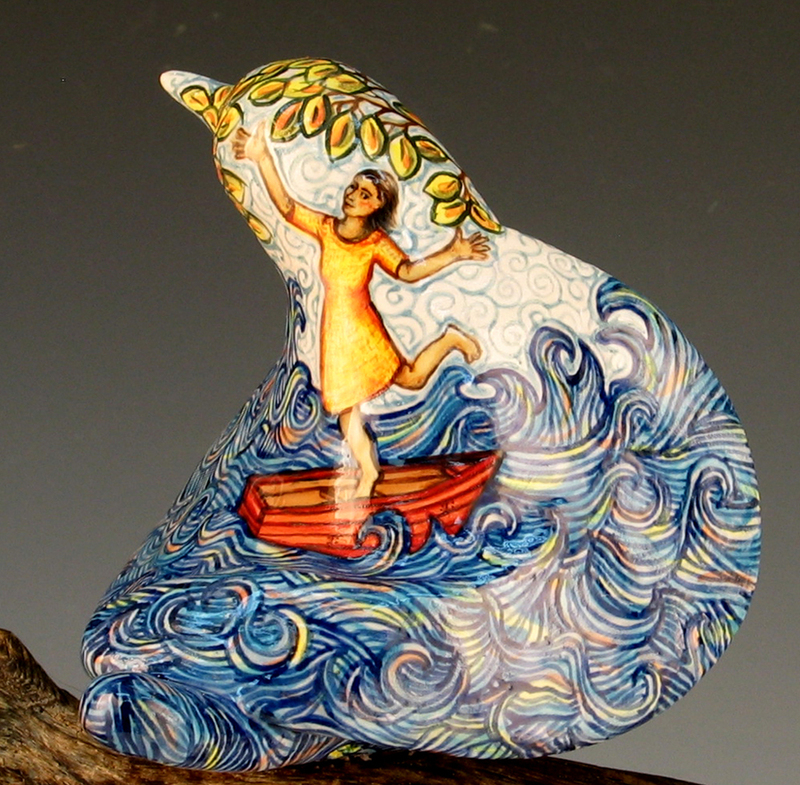 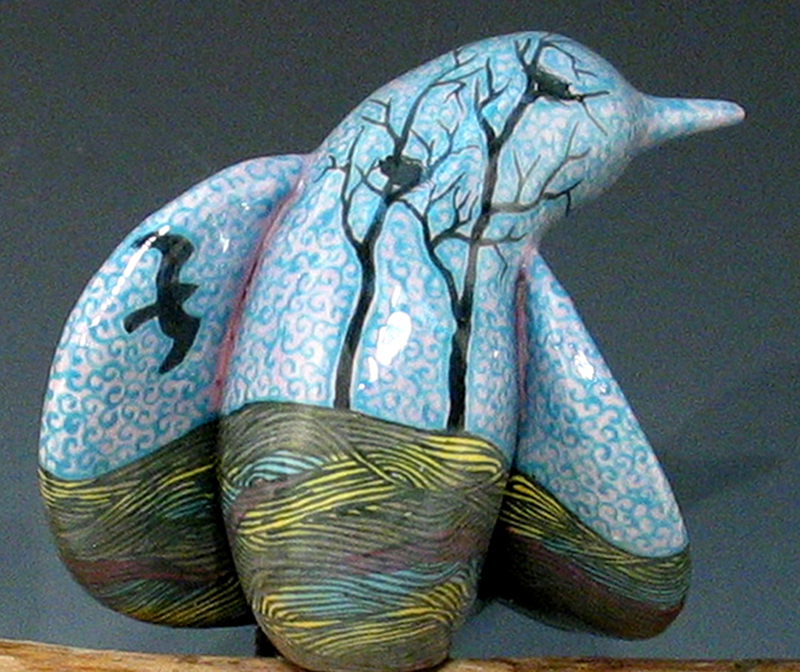 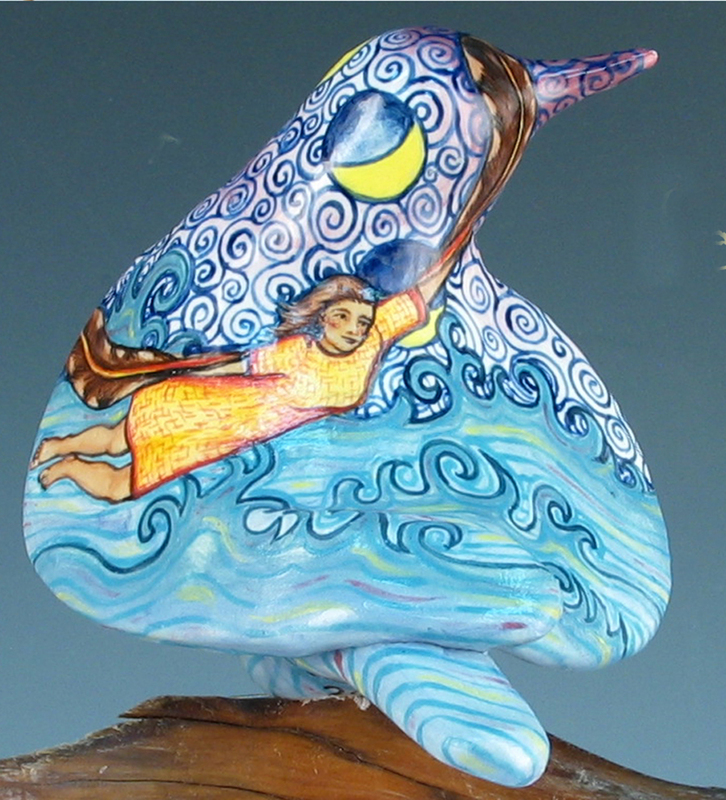 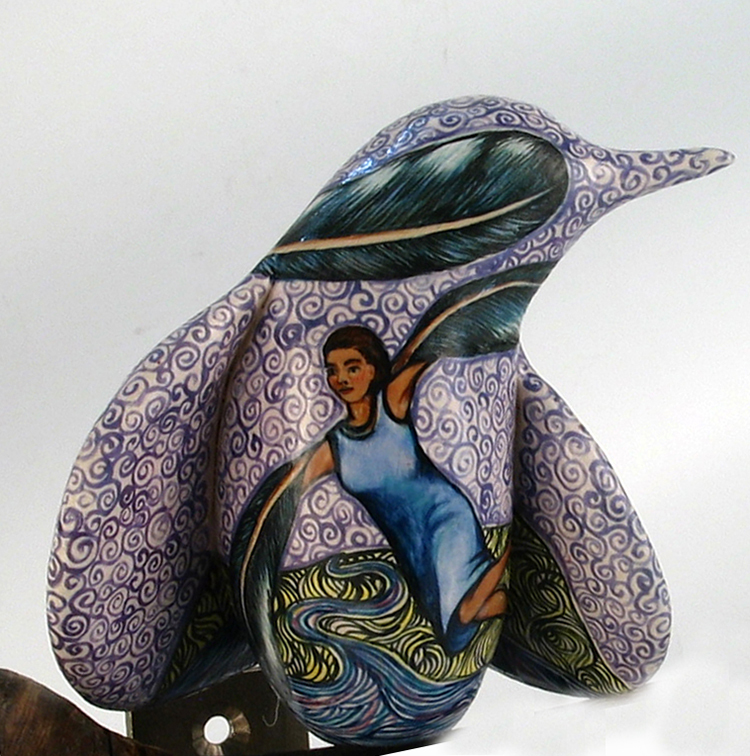 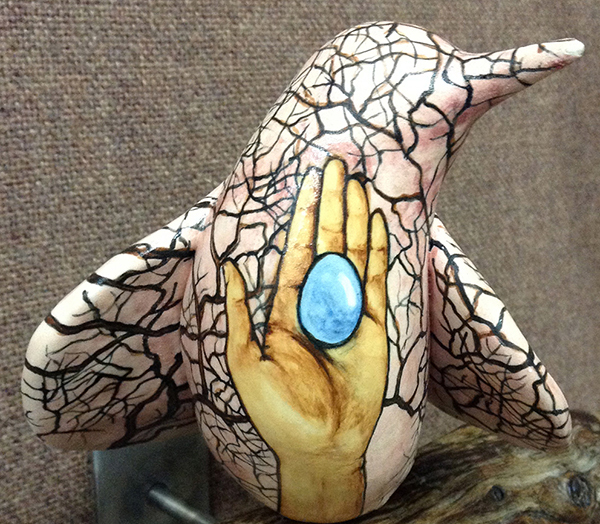 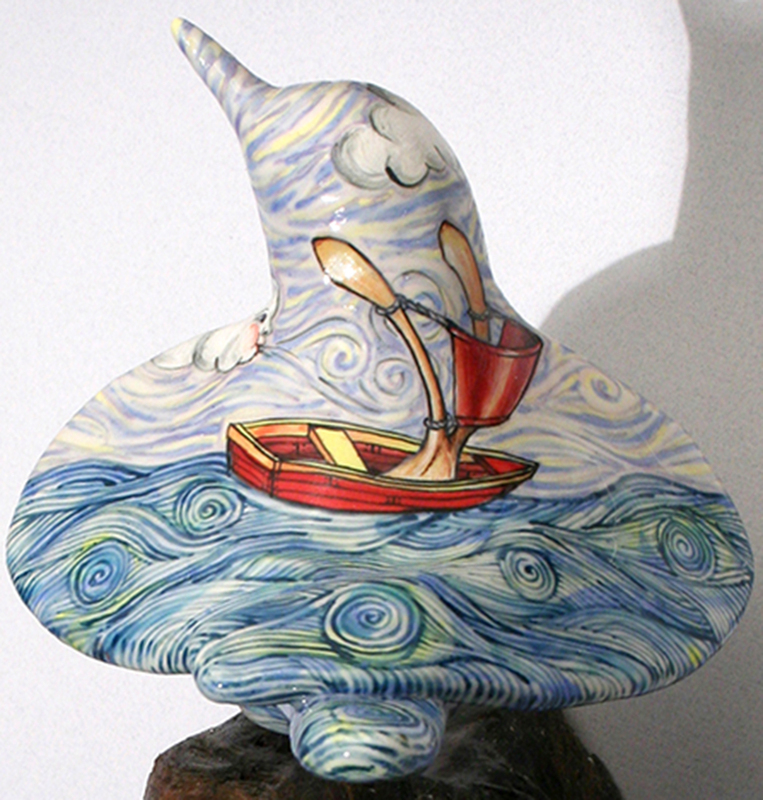 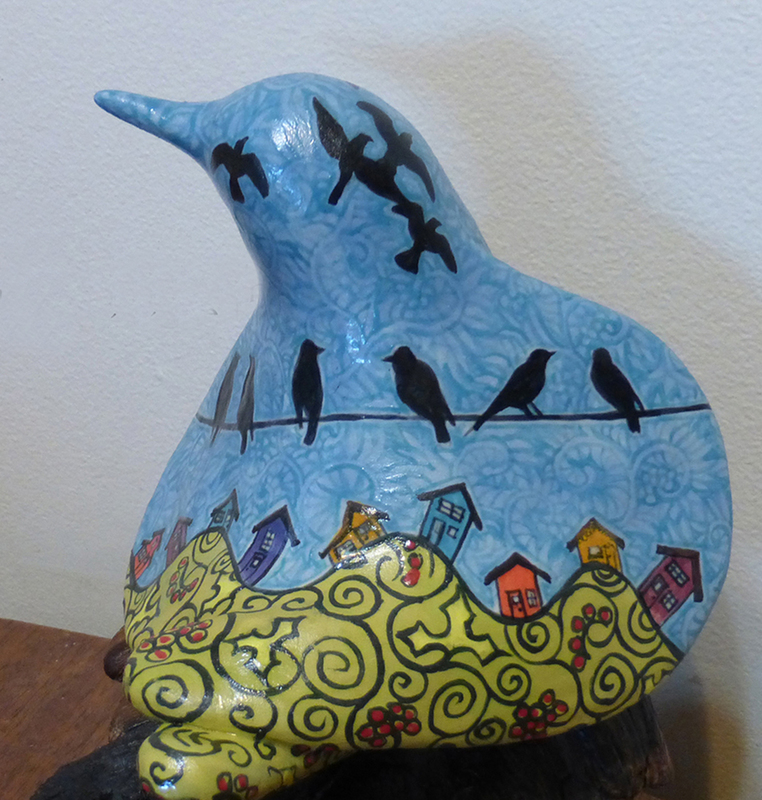 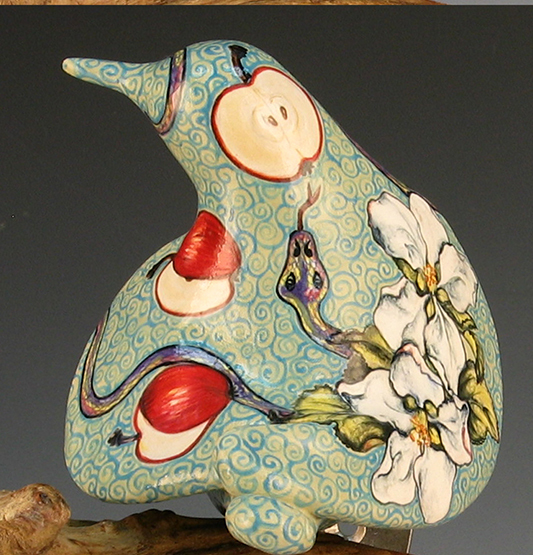 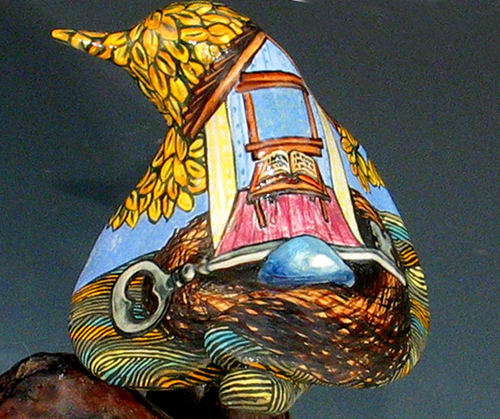 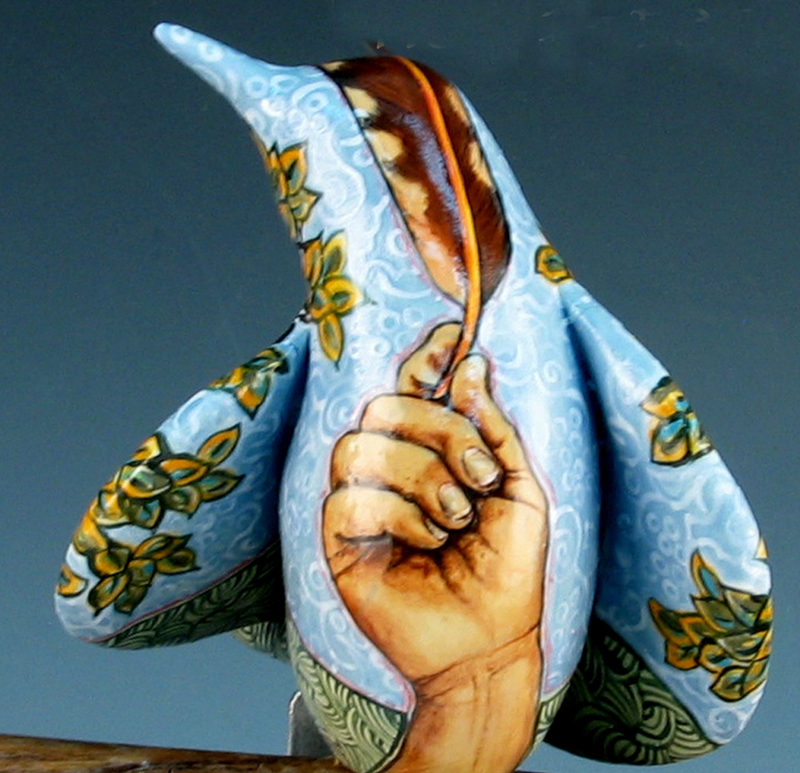 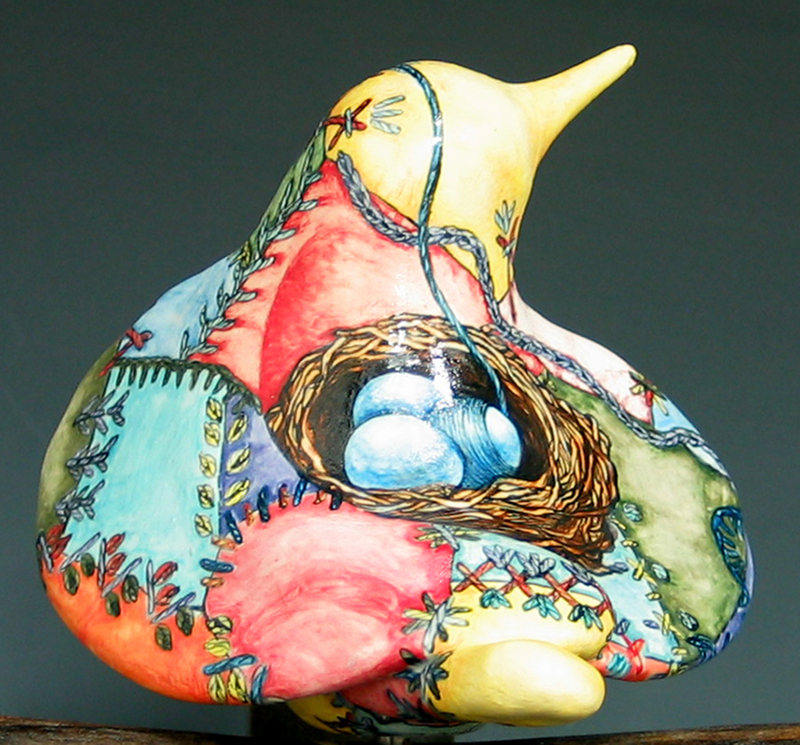 In some cases, I use my ceramic bird form as a canvas for small narrative paintings. 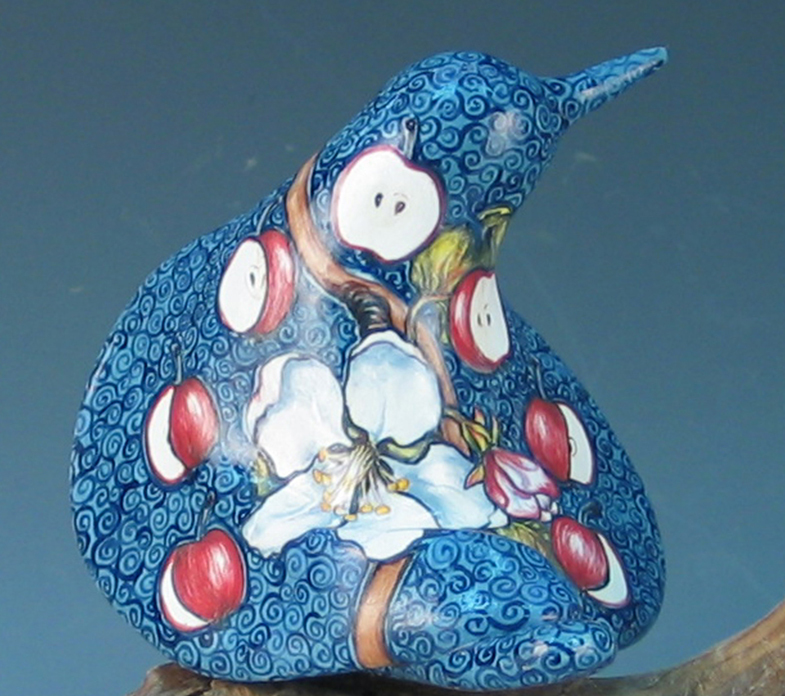 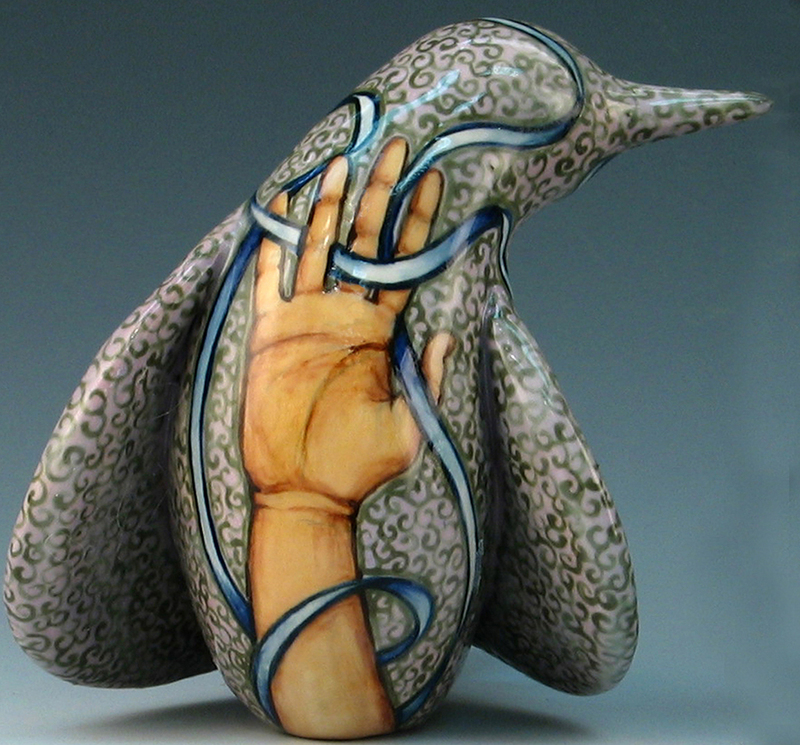 These birds are embellished with underglazes, coated with a clear glaze and then fired to cone 6 (2265 degrees F) in an electric kiln. 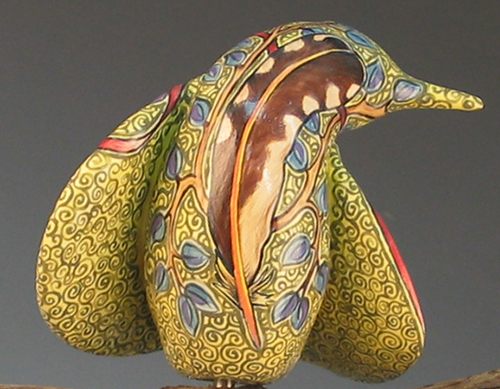 Each one is an entirely unique work of art. 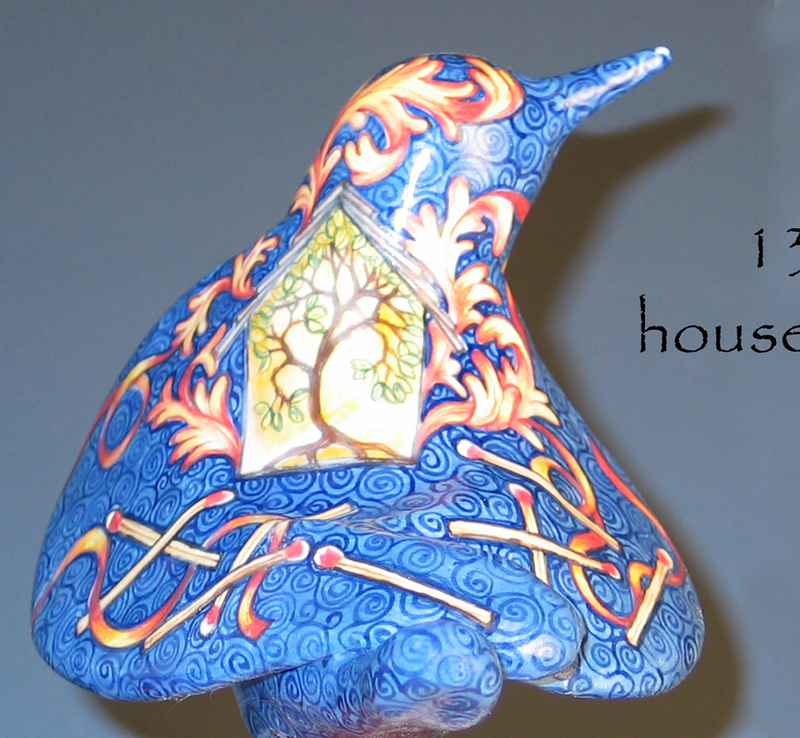 They come with a driftwood wall mount.